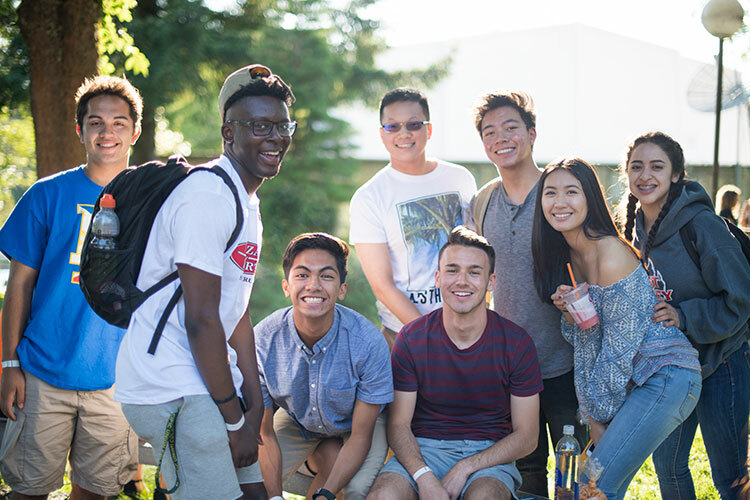 While many institutions around the country are struggling to diversify their campuses, Pacific Union College has been named the most ethnically diverse National Liberal Arts College in the nation, according to the new annual rankings of best colleges released by U.S. News & World Report. PUC has previously ranked second and third in this category. The 2017 rankings are based upon information submitted by colleges for the 2015-2016 academic year. For the diversity category, the ranking calculates the proportion of minority students within the student body, omitting international students, and awards institutions a score ranging from 0.0 to 1.0 on the diversity index. The index measures the probability that any two randomly chosen students from a given school are of different races or ethnic groups. The closer a school is to 1.0, the more diverse the student body. PUC scored 0.76, with the largest minority population being Hispanic. Tied for second place were Salem College in North Carolina and Soka University of America in California, both of which received a score of 0.72. According to Serhii Kalynovs’kyi, PUC’s director of institutional research, assessment & planning, for the 2015-2016 academic year, PUC’s student body was 28 percent Hispanic/Latino, 26 percent Caucasian/non-Latino, 19 percent Asian, nine percent black or African American, and two percent Pacific Islander, with the remaining 16 percent being multiracial or unknown. The college sees its ethnic diversity rating as a unique educational advantage for students, providing them with an environment where they are able to both live and learn together with students different from themselves, from a variety of cultural backgrounds, helping to prepare them to work in today’s global, multiethnic society. In large part, the college’s diversity ranking is due to over 80 percent of the students at PUC being Seventh-day Adventist. According to a 2015 study by the Pew Research Center, the Adventist Church is the most racially and ethnically diverse religious group in the country. On a diversity index scale of one to 10, Adventists scored a 9.1, with 37 percent Caucasian/non-Latino, 32 percent black or African American, 15 percent Hispanic/Latino, eight percent Asian, and eight percent another race or multiracial. Historically, PUC has always been committed to diversity. In 1883, just one year after its founding, the college admitted Charles Kinney, a young black man who, for two years, studied on the Healdsburg campus at a time when such things were unheard of. Kinney would go on to be the first ordained black minister within the denomination, and helped start five of the first six black Adventist churches in the U.S.
Today, as the latest ranking from U.S. News & World Report shows, the college continues to have a multiethnic campus, as a reflection of the world church and ultimately God’s Kingdom, while seeking to produce Christ-like men and women to lead productive lives of useful human service and uncompromising personal integrity.